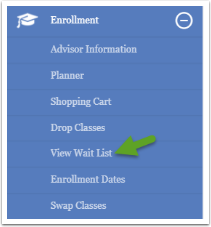 Purpose: Use as a reference for how to view wait list, enroll in classes, drop classes and swap classes. 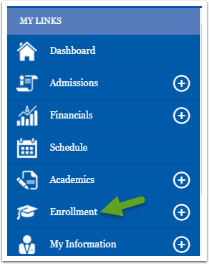 Click on the Enrollment menu item. 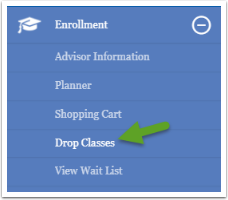 To enroll in a class you can choose a class from your Planner or Shopping Cart. 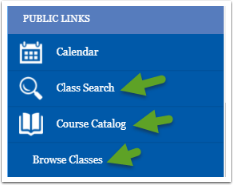 You can also browse for a class by clicking on Class Search, Course Catalog or Browse Classes. 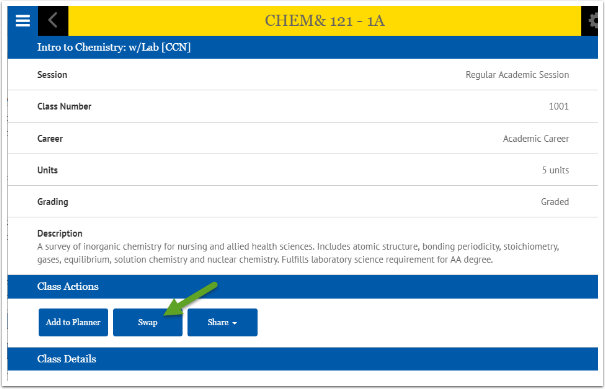 (In this example, Browse Classes will be used for visual cues). Choose a section if applicable. You can add the class to your Planner, or Cart, or Share it. 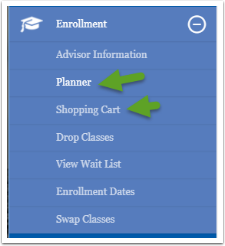 (For more information see the Mobile - Moving to Courses to Planner or Mobile - Shopping Cart QRGs). 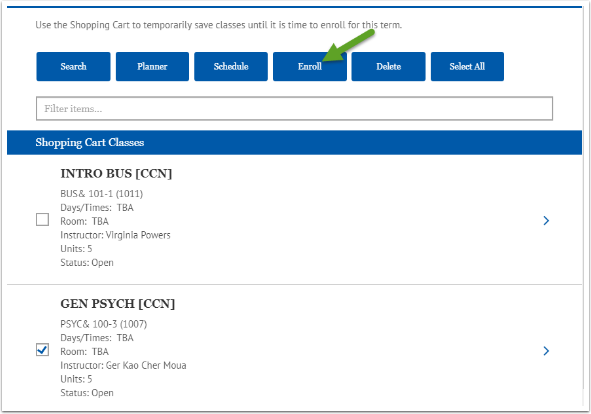 For this example, we will add the class to the Cart. Click the Save button. The class is added to your shopping cart. 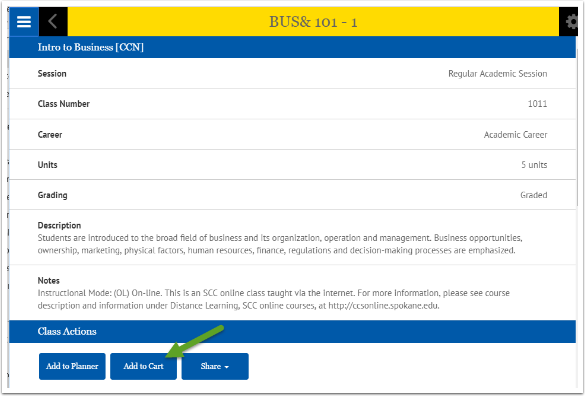 Check the box in front of the class you want to enroll in and click the Enroll button. 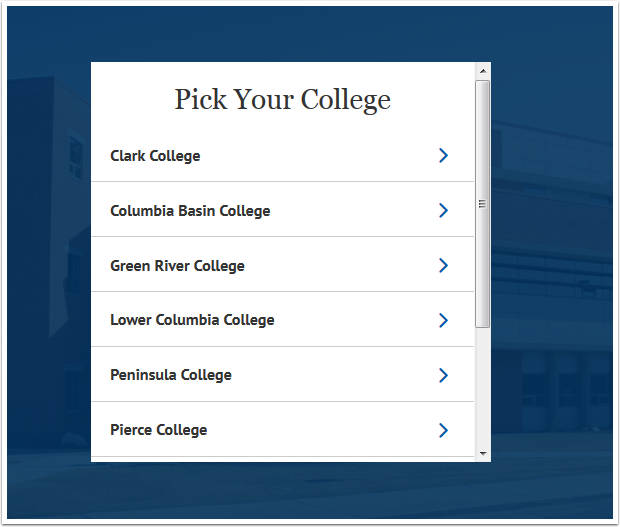 Click the Enroll button again. 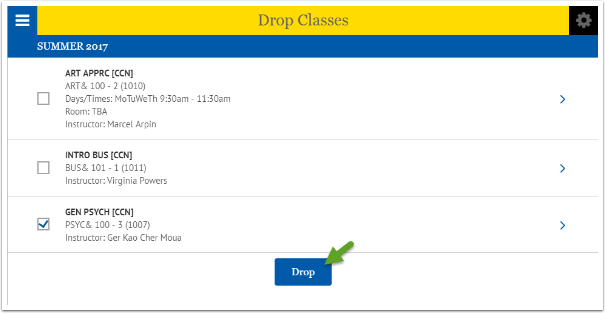 To drop a class, click on Drop Classes menu option. 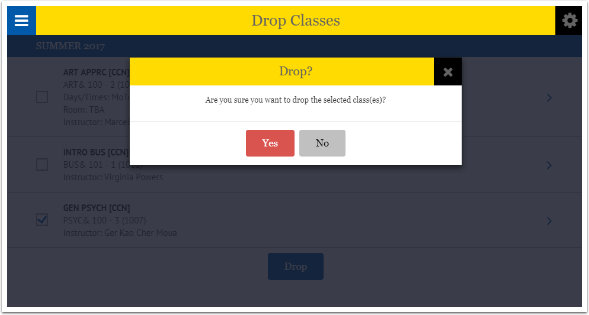 Click the box in front of the class you want to drop, then click the Drop button. 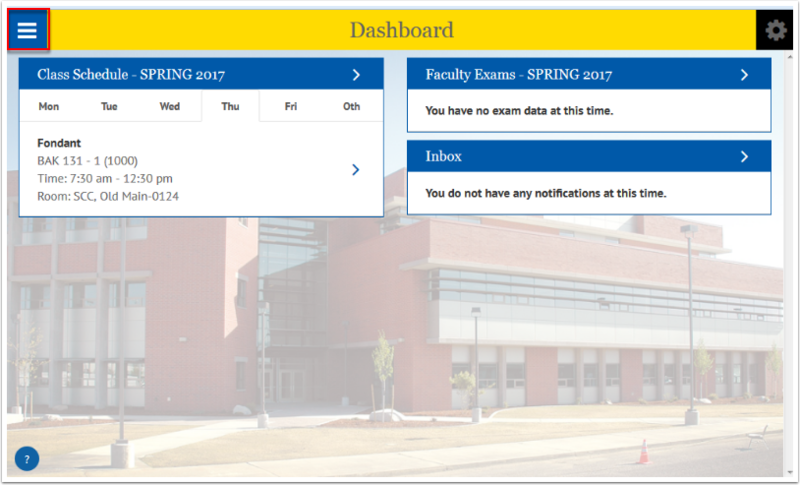 Click on View Wait List. 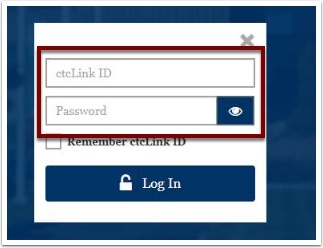 (You will be able to see what position you are on the wait list). 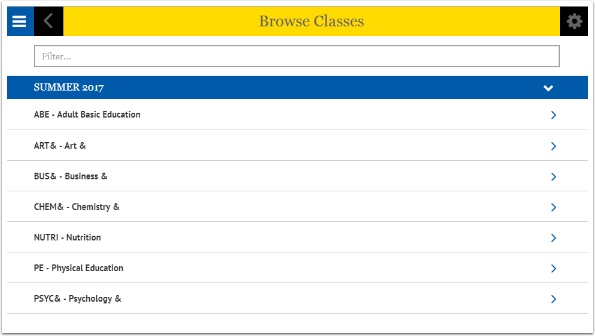 Click class for class details and to see Class Availability. 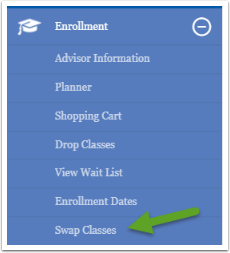 Click on Swap Classes menu option. 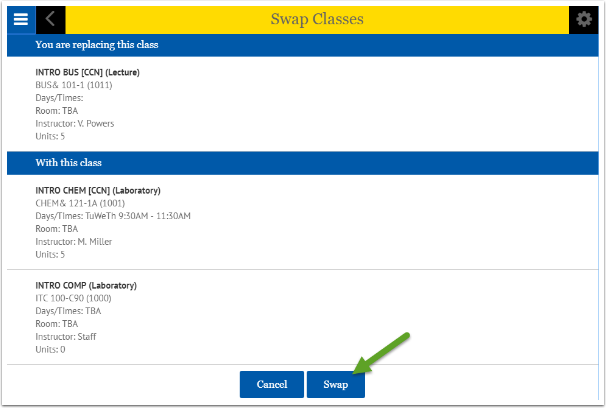 Click class you want to swap. 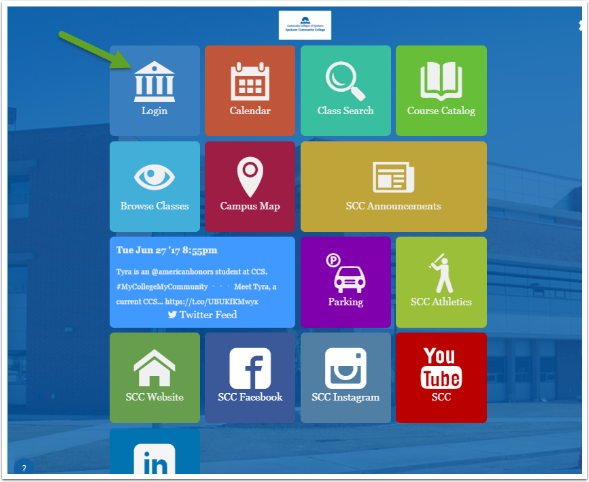 Click Search or Planner if you have classes in your Planner. Choose the class you want to swap. 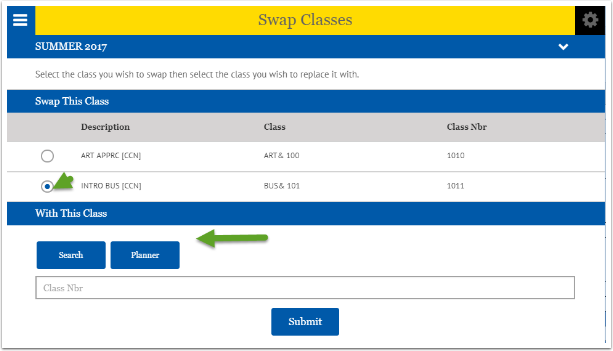 Click the Swap button to confirm the classes are correct.